The Chuckit Ball Launcher is a great way to excercise your dog without wearing out your arm. You can throw that ball out of the ballpark over and over again. Its so easy, just grip the handle firmly, extend your arm back, then swing it forward in a smooth arc. The ball will release when you swing it fast enough. 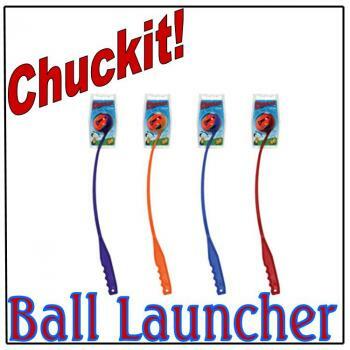 The Chuckit Launcher also has hands free pick up, just hold the handle and place the ball claw over the tennis ball and press down firmly. Have fun!! Great excersize for your dog! !